Alvin Pleasant Carter first heard Sara Dougherty singing in 1914 and fell in love with her beautiful voice. They married in 1915. In 1925 they began performing with Sara's cousin, Maybelle Addington, as the carter Family. In 1970, they were the first group inducted into the Country Music Hall of Fame in Nashville, Tennessee. The musical legacy established by A.P., Sara and Maybelle continues today through successive generations. A.P. learned to play the violin as a child in Poor Valley, Virginia, and sang in the local church choir. 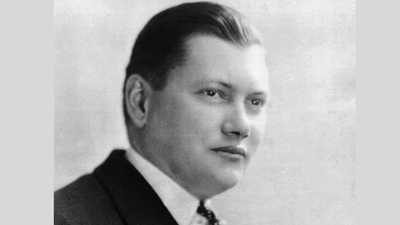 He led the Original Carter Family group from 1926 until their break-up in 1943. A.P sometimes played bass in the Carter family group and sometimes sang -- the unique vibrato in his voice attributed to the fact that he was born with "the shakes." Married Sara Dougherty on June 18, 1915. Sara's lush contralto was the voice of the Original Carter Family. 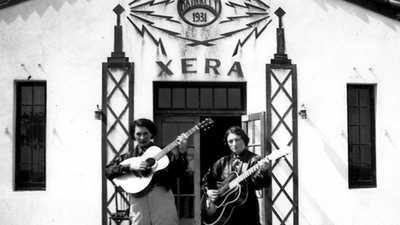 As a girl, Sara formed a singing group with her cousin Madge -- Maybelle's older sister -- and purchased an autoharp when she was 12. Sara's autoharp complemented the guitar work of Maybelle to form the signature melodic sound of the Carter family. Married Coy Bayes (second marriage) on February 20, 1939. Maybelle Addington grew up in a musical family, winning first prize at a Copper Creek banjo contest at the age of 12. Her guitar skills matured quickly and her signature style of blending melody and chords became known as the "Carter scratch." Maybelle later formed a group with her daughters Helen, June, and Anita called The Carter Sisters and Mother Maybelle. Their career included performances on various radio stations, regular appearances on the Grand Ole Opry and The Johnny Cash Show, and a tour with Elvis Presley. She and Sara Carter briefly reunited in the 1960s as a folk duo. Married Ezra Carter on March 13, 1926. Gladys and her husband Milan took over the Carter home and farm from A.P. 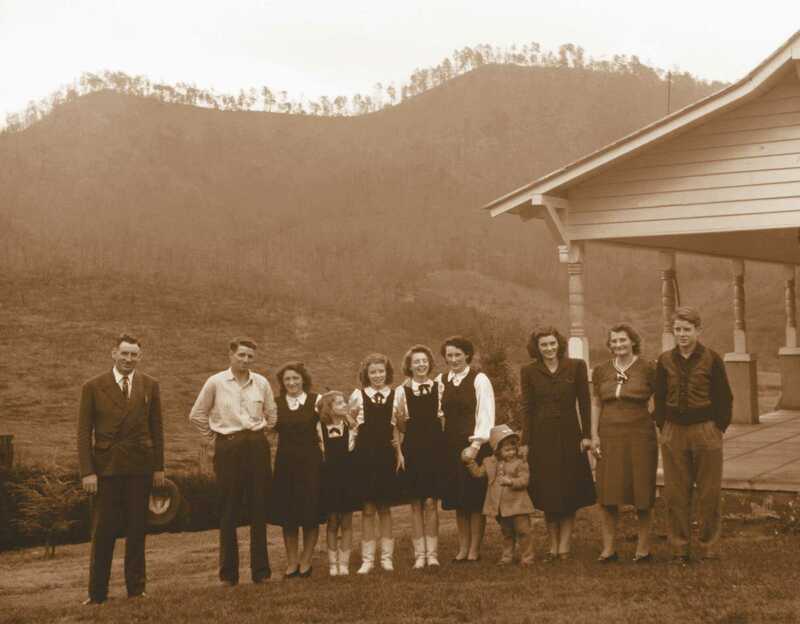 Gladys helped establish the Carter Family Memorial Music Center and the Carter Fold -- a 1,000 seat theater -- in Hiltons, Virginia, with her siblings Joe and Janette. Married Milan Millard in 1938. Janette first performed with The Carter Family in the late 1930s, traveling to Texas for their border radio sessions. Janette was a singer and songwriter who gathered songs like her father. Janette organized old time and bluegrass music festivals starting in 1975, and in 1979 formally established the Carter Family Memorial Music Center, a non-profit organization dedicated to the preservation of old-time, traditional country and mountain music. Married Jimmy Jett on May 25, 1940. Joe played guitar and sang, joining his parents and sister Janette as the A.P. Carter Family in the early 1950s. In 1967 he took his father's place to record An Historic Reunion with his mother Sara and Aunt Maybelle. Helen was a member of The Carter Sisters and Mother Maybelle, and The Carter Family, usually playing the accordion. Helen recorded some singles of her own and eventually eased into the role of songwriter, penning a top-twenty hit What Am I Supposed to Do? for Ann Margaret. Married Glenn Jones in 1950. June Carter began performing with her sisters and mother as The Carter Sisters and Mother Maybelle. By the end of her career June won two Grammy Awards for duets with husband Johnny in 1967 and 1970, and another in 1999 for her solo album Press On. Married Carl Smith on July 9, 1952. Married Edwin "Rip" Nix on November 11, 1958. Married John "Johnny" Cash on March 1, 1968. Elected to the Country Music Hall of Fame in 2003, Smith was one of country music's top hit makers of the 1950s and 1960s. He scored a smash hit with Let Old Mother Nature Have Her Way in 1951. Known as the "man in black," Johnny Cash recorded more than 1,500 songs, had 48 singles on the Billboard Hot 100 Pop Charts, and won 11 Grammy Awards, including a 1999 Lifetime Achievement Award. From 1969-1971 he hosted The Johnny Cash Showon television, showcasing many of the great country musicians of the time, including The Carters. Anita Carter performed as a member of The Carter Sisters and Mother Maybelle, and The Carter Family. Highlights of her solo career include two Top Five country hits in 1951 with Bluebird Island and Down the Trail of Aching Hearts, both recorded with Hank Snow, and another in 1968 with I Got You, a duet with Waylon Jennings. Married Dale Potter in 1950. Married Don Davis in March 31,1953. Married Bob Wootton on May 4,1974. Dale Potter was a brilliant fiddler who Chet Atkins praised as having the ability to sound like three or four fiddlers playing at once. Don Davis plays the pedal steel guitar. He worked as a session musician for over 40 years on over 3,000 recordings, working with such artists as Hank Williams, Johnny Cash, Conway Twitty, Lionel Hampton, and Nat King Cole. Bob Wootton played lead guitar in Johnny Cash's band The Tennessee Three for almost thirty years. Dale Jett is a guitarist and vocalist featured on June Carter Cash's album, Wildwood Flower. Rita has followed in her mother's footsteps with her work in the Carter Family Fold. Booking acts, cooking, and announcing, she is the backbone of the weekly concerts that take place at Maces Springs, Virginia -- the hometown of Carter Family music. Carlene Carter has had a successful solo career in both country and rock music. As a teenager she began performing with her grandmother Maybelle as part of the Carter family. Rosanne began her career as part of her father's road show. She's since garnered 11 No.1 country hits and a Grammy. John is a country music performer and producer. He produced his mother's last album, Wildwood Flower, his father's last recording sessions, and a tribute album The Unbroken Circle: The Musical Heritage of the Carter Family that features such artists as George Jones, Sheryl Crow, Marty Stuart, Willie Nelson, and Shawn Colvin. 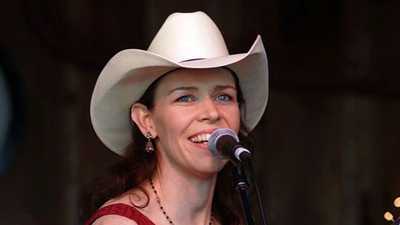 Lorrie Davis Bennett is a vocalist who performed with the Carter family and on June Carter Cash's 2003 album Wildwood Flower. Rosie Nix Adams was a bluegrass and country performer who sang on the Johnny Cash Show in 1969 and performed with as part of the Carter Family in the 1970s. David Lawrence Jones is a guitarist and vocalist who played with the Carter Family in the 1970s.